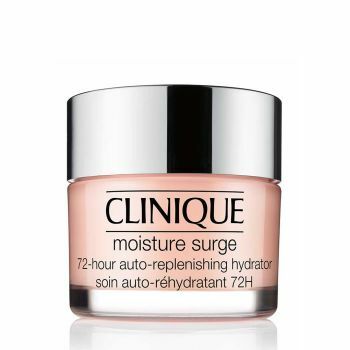 Moisture Surge 72-Hour Auto Replenishing Hydrator. Helps skin create its own internal water source to continually rehydrate itself. Works non-stop for 72 hours—even after washing your face. Take this deeply satisfying moisture marvel with you and arrive hydrated, look refreshed, endlessly dewy. Allergy Tested. 100% Fragrance Free.